CD/DVD authoring is the process of creating a CD-Rom/DVD video that includes data and/or video, audio, photograph, letter etc., it can be played on a CD-Rom/DVD player. The specifications are complicated due to the number of companies that were involved in creating them. We offer Mastering in CD-Rom, DVD 5, DVD9, Double sided DVD's, DVD-R, and other mediums as well. High Quality wav, MPEG2 encoding with Dolby Digital audio. 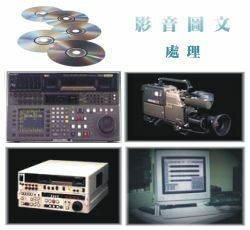 DVD Authoring Frequently Asked Questions as follows, please contact us by service@yessir.com.tw for the answers. 01. What types of DLT tapes do you accept? 02. Can you accept Widescreen format video for DVD authoring? 03. What tape and digital video formats do you accept for DVD authoring, ECD, and Video on ROM? 04. Can you take my DVD master and add copy protection? 05. Can you take my DVD master and add a menu? 06. What are region codes? 07. What is the difference between the NTSC and PAL Video standard? 08. Can I make a DVD that will play anywhere? 09. Can I add a web link to my DVD? 10. How many minutes can I fit on a DVD-5? A DVD-9? 11. What is the difference between a DVD- 5, DVD-9, and a DVD-10? 12. Can I use a DVD+R DL for my DVD-9 master? 13. Can my DVD have surround sound? 14. What is AC-3 audio? 15. How much video will fit on a DVD? 16. What master formats do you accept? 17. What is the difference between DVD replication and DVD burning?